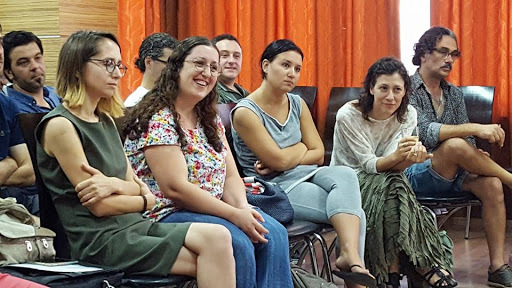 A journey through Albanian themes, with a line-up of projects using drama and comedy to address the current concerns of Albanian society and refreshing feedback on stories that draw on the totalitarian past. 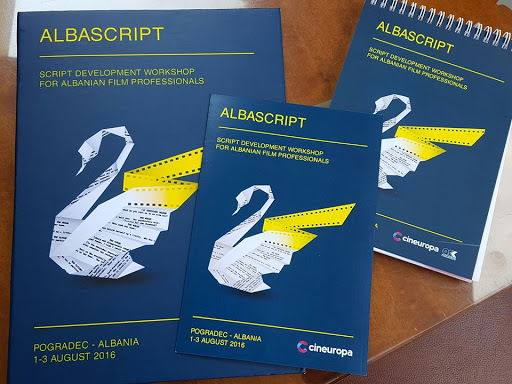 This is how one might describe the recent script developing workshop ALBAScript, made possible thanks to the partnership between the Albanian Film Center and Cineuropa. 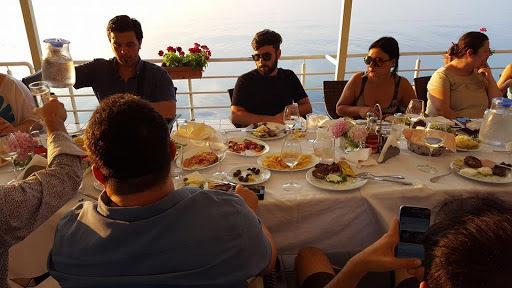 The authors of 18 feature and short Albanian films in different stages of development were selected to participate in the workshop, with the guidance of Isabelle Fauvel and Giovanni Robbiano for the feature films and Izer Aliu and Andamion Muratajfor the shorts. 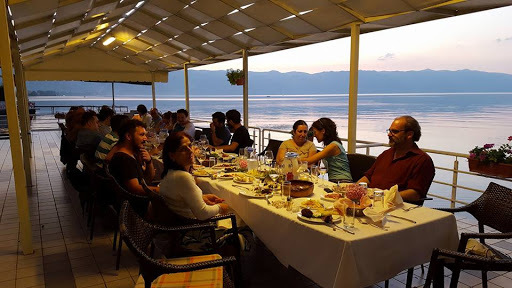 The first phase of the workshop took place in the beautiful small town of Pogradec, overlooking Lake Ohrid, a quiet natural retreat about 120 km east of the Albanian capital, Tirana. 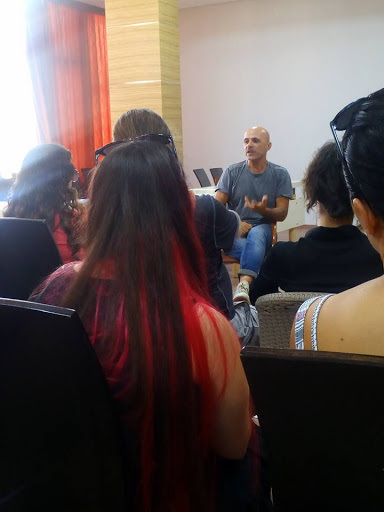 Andamion Murataj, the programme director for ALBAScript, states that “Now is the time to introduce a professional scriptwriting workshop such as this one in Albania, calling in some of the best screenwriting tutors we know of, who have extensive experience in similar programmes across the region”. 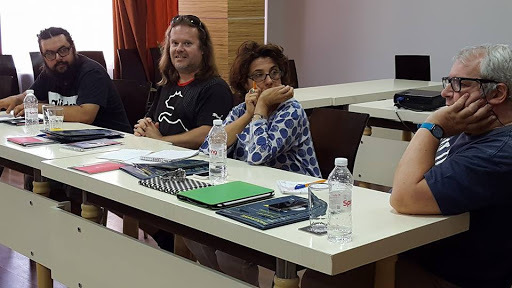 Isabelle Fauvel, who provides consultancy services for many regional markets via her company Initiative Film, was an asset to the workshop as Head of Studies. “What drew me in is that all the participants have different degrees of experience, but even the most advanced, who brought us projects that looked like final drafts, were still open to positive criticism. In a short space of time, you have to really work to connect with people you’ve never met before and try to establish mutual trust. 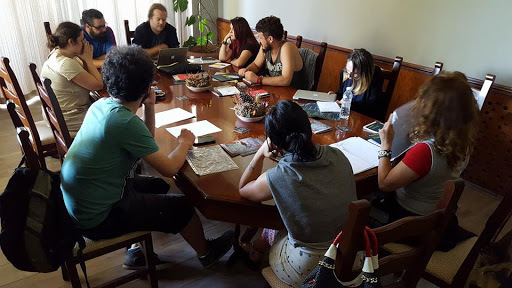 In this regard, it was a very thorough workshop, comprising three days, ten feature film projects with two tutors overseeing five of these each, with each at different stages of development, and eight shorts. The idea was to offer feedback on the very interesting and very challenging works in progress, all of which were at different stages of development, aiming to strengthen them and steer them towards the production stage”, states Fauvel, who shared her experience and presented her views on when and how to co-write and co-produce a local film. Izer Aliu, a Nordic writer and director of Albanian origin, is a tutor on the short film program. Aliu, known for his Student Academy Award-winning short To Guard a Mountain, is a role model for those wishing to shoot a local story with limited means and still achieve global success. According to Aliu, “There are promising things in all the scripts that are being developed. Albania has good stories and most of all, good people who want to tell those stories, and that’s what’s most important”. Giovanni Robbiano, a writer and director, who also runs FAMU International, is a great connoisseur of Albanian contemporary cinema. He advises participants on how to further develop their scripts in such a way that they appeal internationally whilst remaining authentic. 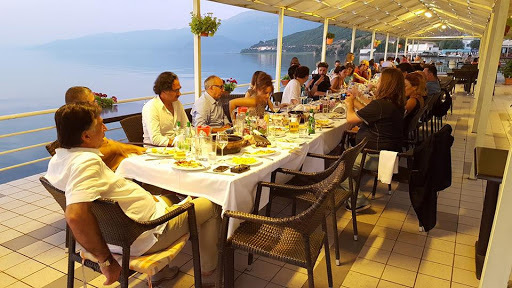 He is a font of knowledge for Albanian filmmakers on how to network and access further film training through alternative workshops across the region. 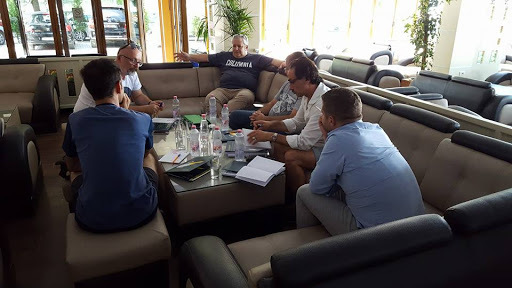 Content with his Albanian experience in Pogradec, Robbiano notes “Although it has been three intensive days, I have to say that they went well, and we’re already thinking about how we can make things even better in the future. 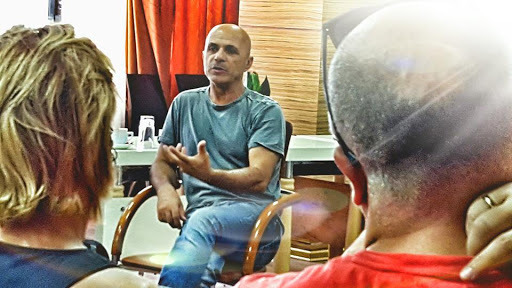 One of the participants in the workshop was Artur Gorishti, the writer and director of his first feature film project Fireflies, who has extensive experience as an actor. He feels confident in his work and says: “Now that the first phase of the workshop is over, I feel that it was the best thing I have done so far for my project. It not only gave me the opportunity to evaluate where I am with it, but it clarified where exactly I want to go with this project”. For Ilir Butka, the head of the Albanian Film Center, further developing promising scripts through workshops like ALBAScript is essential, not only to help Albanian authors to effectively communicate their stories internationally, but, looking at the bigger, as part of the country’s new strategy to catch up with recent European film development. 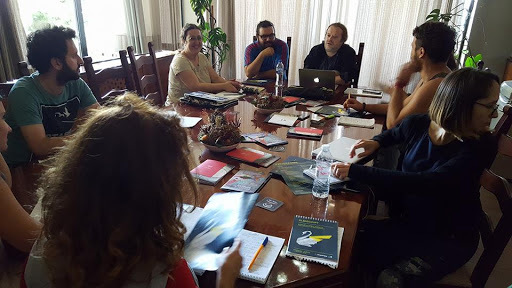 In this regard, partnering up with Cineuropa for this workshop is a big step towards bringing new Albanian film to the attention of international film markets and festivals. ALBASCRIPT, CINEUROPA, 3 DITE PUNE INTENSIVE. 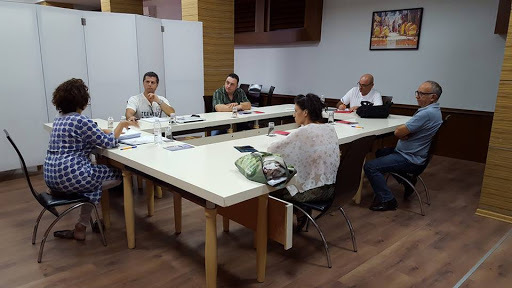 Gjate 3 diteve u zhvillua ne qytetin e Pogradecit workshopi i organizuar nga Cineuropa dhe Qendra Kombetare e Kinematografise ku ne prezencen e 4 tutoreve u trajtuan rreth 20 skenare filmash te gjate dhe te shkurter. Ne fazen e dyte e cila do te shtrihet ne nje perjudhe disa mujore, autoret e skenareve do te komunikojne via skype dhe email me tutoret per te realizuar versionin e avancuar te skenarit te tyre. 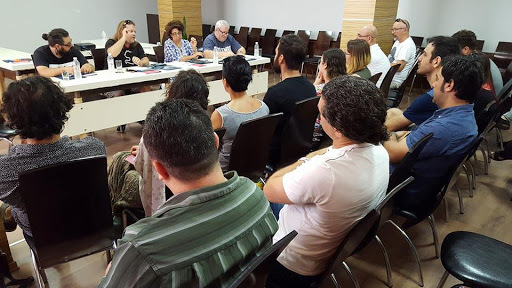 Ky proces kishte qellim te ndihmonte ne permiresimin e struktures se skenarit, dramaturgjine, vizatimin e karaktereve, tregimin e historise, pitching dhe te tjere komponente qe i sherbejne gjetjes se bashkepunetoreve dhe bashkeprodhuesve te huaj si edhe perballjes ne tregun nderkombetar. 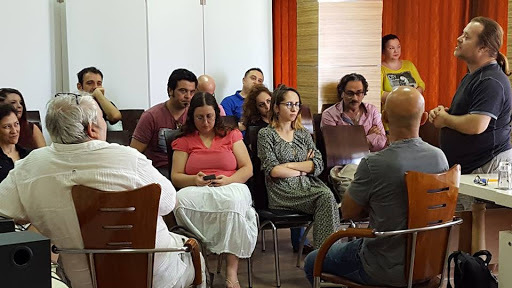 Qendra Kombetare e Kinematografise me pare ka organizuar me EAVE nje tjeter workshop dedikuar filmit te shkurter por Albascript eshte i pari workshop per skenarin me keto permasa dhe me kete nivel profesional dhe organizativ qe realizohet ne Shqiperi.